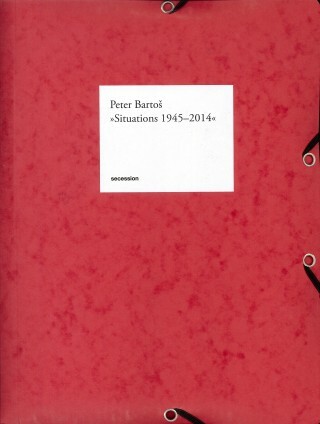 Peter Bartoš was an early exponent of conceptual and action art in Slovakia. 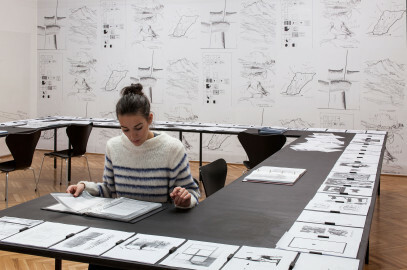 In Situations 1945–2014, his exhibition at the Secession, he has put together a first-ever survey of his multifaceted oeuvre in the form of a chronological xerographic catalogue raisonné. 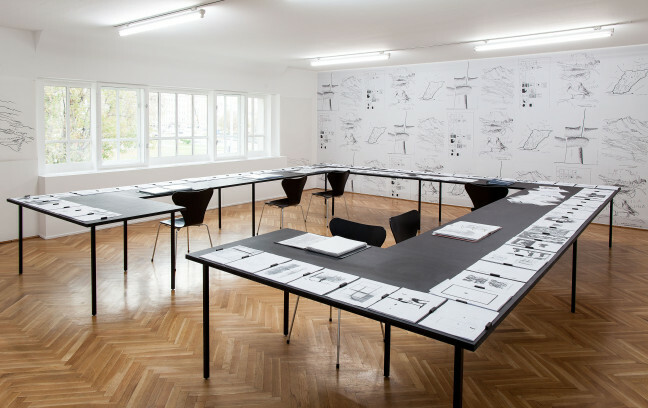 In a perspective schooled by anti-art, Bartoš regards the photocopy as both a work in itself and a medium that lets him record and distribute his concepts. Coming from an exploration of painting as a process, Bartoš realized actions in the late 1960s in which he poured paint on various support media or scattered grids of materials like cinder, dust, chalk powder, or peat over the streets and squares of Bratislava. His primary interest in these projects concerned the physical properties of the materials, the temporary nature of works existing only as processes, and the ways in which materials might be transformed by way of accumulation or dispersal. 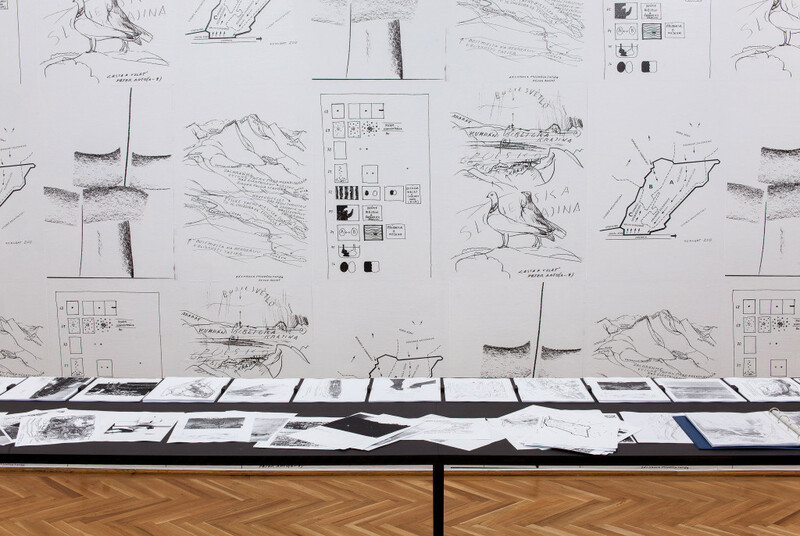 Many of Bartoš’s works, which often evolve and grow more complex over the course of decades, intertwine questions of ecological planning and the shaping of natural settings with issues of liberty and privacy in connection with (national and political) boundaries. 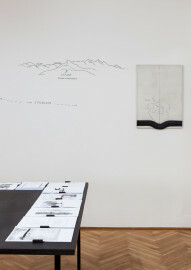 In 1993, he launched the project Nomadart, in which he discovers his homeland on foot and explores it in drawings and photographs. He settled on a predetermined circular route that passes through five Central European countries: Slovakia, the Czech Republic, Poland, Hungary, and Austria. Its center is the village of Uhrovec, where Ľudovít Štúr (a prominent representative of the Slovak national revival movement in the nineteenth century) and Alexander Dubček (the leading figure of the Prague Spring in 1968) were born. 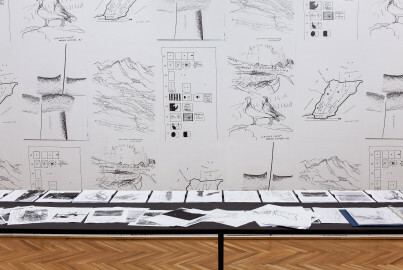 Nation states are irrelevant to Bartoš’ idea of where he is at home: his peregrinations took the artist—who, after the dissolution of Czechoslovakia, long hesitated which citizenship to adopt—over several unmarked international borders. 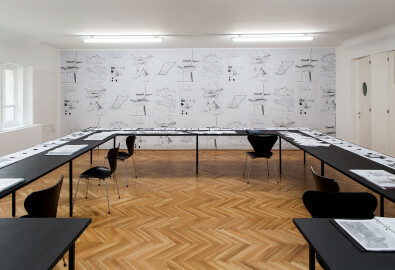 Peter Bartoš, born in Prague in 1938, lives and works in Bratislava.